Operation Christmas Child is a ministry part of Samaritans purse that provides gifts for children in need all over the world. You simply grab a shoebox (or similar sized box) and fill it with little gifts, hygiene supplies, candy and goodies for a boy or a girl. 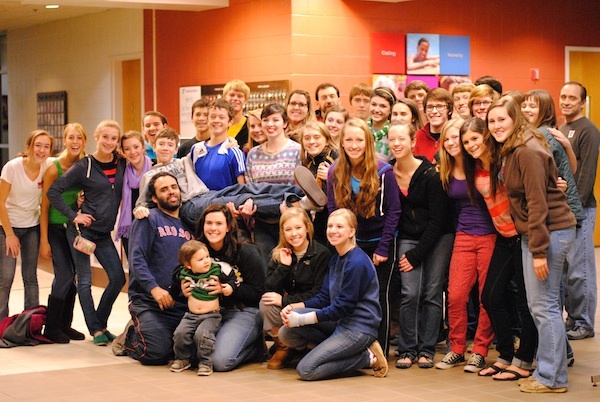 Its such a great ministry and one that we as a church and youth group participate in every year. I thought it would be fun to share a little behind the scenes job that our students do every year to help this awesome ministry. After all of the boxes our dropped off at our church we load them all up and take them over the main drop off location in our area (which is the YMCA). 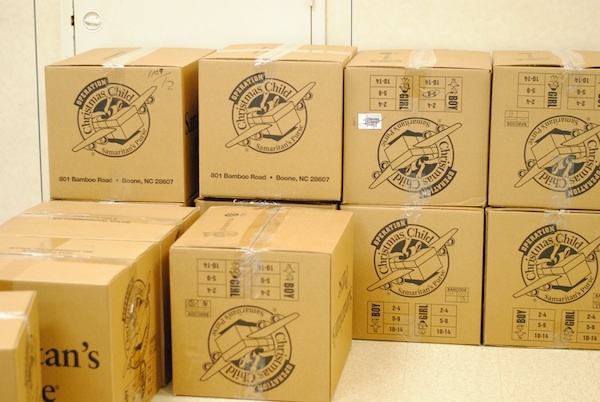 We then get the privilege of packing up all of the boxes that have been dropped off to be sent away to the children. This year we packed up 2, 800 boxes together and I think our students did it in about 30 minutes. They were on a roll and worked so hard. I love seeing them get excited about serving others - its such a blessing to me. There is something really cool about packing up all of the christmas boxes knowing that a child somewhere in the big wide world will soon be opening it up and receiving a little gift from a stranger who just wanted to show a little love. I have a friend who was a missionary in Africa who got to experience this on the other side - when the boxes were delivered. 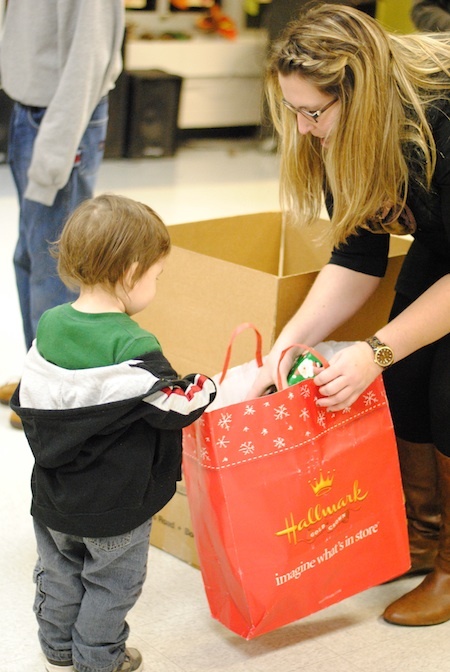 She said it was one of the coolest experiences in her life as the kids lined up and the smiles and excitement spilled over as they each received a gift. When we are surrounded with so much consumerism and stuff here in America its crazy how something as simple as a toothbrush, soap, a few dollar store toys, socks, candy and some crayons can be a special and exciting gift for a child. One of great parts of this ministry is that they don't just drop off boxes and leave. They share the story of Jesus and the Gospel. If you have time you should read some of the stories on their website. Stories of children who live in some of the most desolate of places who desperately want new pencils and socks so they can do better in school since education is so important to them since it provides a way out. 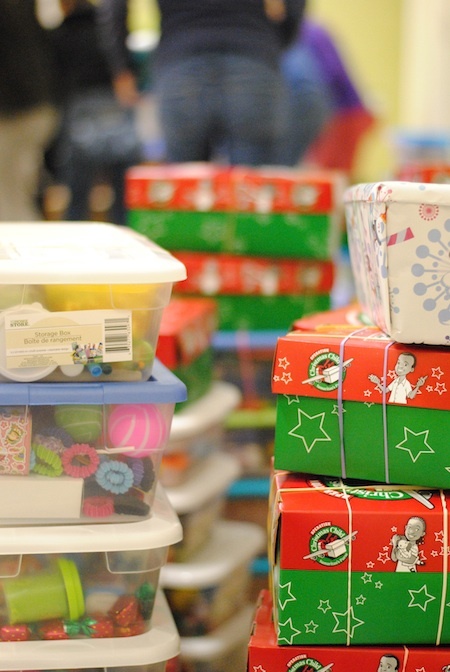 The time for shipping boxes this year has come to a close but there are so many ways to bless other families this christmas season. Its not just about someone receiving a new brush but someone receiving the love of Jesus. Pray about who you can bless this year! SO amazing. I love seeing posts like this:) So uplifting and inspiring. 2,800 boxes is impressive! Thanks for a great post today. It was very uplifting and made me smile. 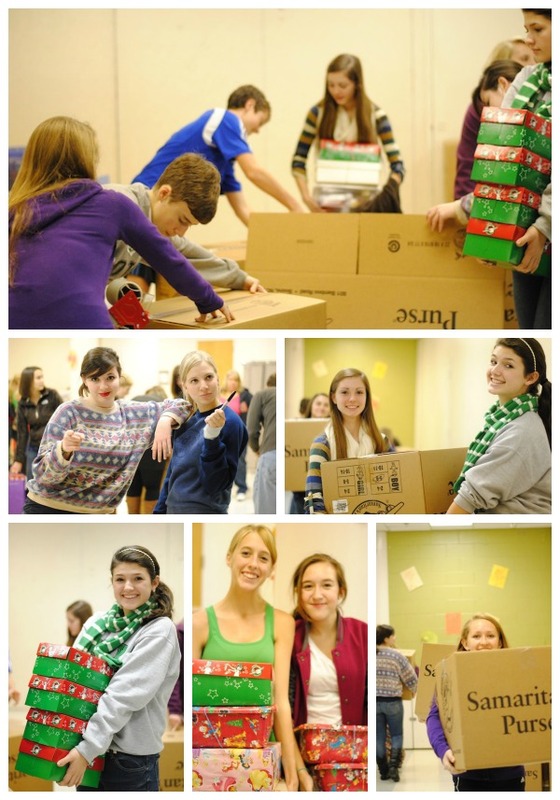 This is awesome...I love Operation Christmas child. I missed the opportunity to help pack boxes this year & wish I hadn't!! I look forward to my little one getting a little older so he can understand & help. What a wonderful heart you all have! Thanks for sharing!